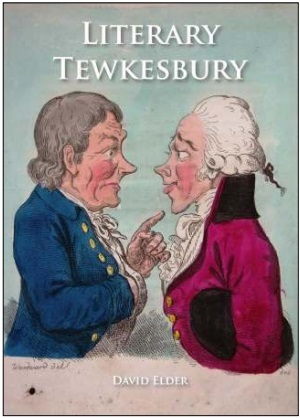 ‘Literary Tewkesbury’ is a new book by David Elder which presents a fascinating collection of quotations, images and commentary that provides a totally new perspective on Tewkesbury’s history. It will be published by Tewkesbury Historical Society as a limited edition in April 2016, fully illustrated in colour and black and white. Tewkesbury is one of those ancient places that seems always to have been there. Over the centuries its history has frequently ‘dripped’ from the pages of literature, from Shakespeare to Ivor Gurney and from Sir Walter Scott to Charles Dickens to name but a few. Yet writers have also provided more intimate portraits of the town they have loved and cherished – whether it is faintly disguised as the ‘queer unique’ Elmbury of Tewkesburian novelist John Moore or the Norton Bury of Mrs Craik’s most celebrated novel John Halifax, Gentleman. In terms of overall importance this town has always managed to ‘punch above its weight’ whether it’s the great Abbey with cathedral-like proportions or the great battle of 1471 which proved to be one of the most decisive during the War of the Roses. This informative, analytical and richly illustrated anthology celebrates the history of Tewkesbury through literature from its early beginnings to the modern day, the achievements of its many remarkable people, and the importance of its local heritage. Complete with index and a literary walk around the town, this book intends to be not only an essential work of reference, but also a leisurely guide for all who love Tewkesbury. David Elder, BA, MLib, FCLIP, has lived in Cheltenham for over 25 years. After studying Modern Languages at Bristol University he completed a Masters in Librarianship before following a career as an Information Specialist in Wales and the South-West. He is married and has two daughters. His previous books include 50 Gems of the Cotswolds: The History & Heritage of the Most Iconic Places (Amberley Publishing 2015), Cheltenham Heritage Walks (Amberley Publishing 2014), Literary Cheltenham (Amberley, 2013) and Down Cheltenham Way: an anthology of writing about Cheltenham through the ages (Cyder Press, 2009). In 2000 he also co-authored Cheltenham in Antarctica (now in its second edition), a biography of Edward Wilson, the Antarctic explorer, with Dr. David Wilson, the explorer’s great nephew. 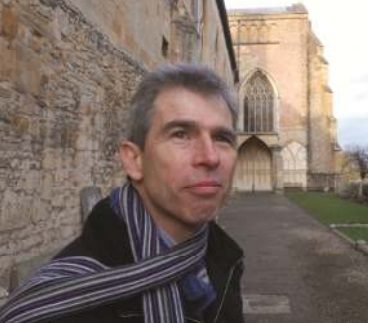 In 2006 he was short-listed for the Bryan Jerrard Award for the best Gloucestershire local history article. He has also appeared at the Cheltenham Literary Festival in 2014 and 2009, including in 2006 when he was selected as a local writer to read one of his poems. Many of the photographs in this book have been taken by the author. David has achieved some local recognition, particularly as a wildlife photographer, after winning the Gloucestershire Wildlife Trust photographic competition in 2013 and achieving winner or runner-up status in the Trust’s photographic competition themed categories in 2010 and between 2012 and 2015. His photographs have also been used to illustrate several magazines and publications, including Glenesk: the collected poems of John Angus (Invermark Books, 2006). The cover, title page and the map for the Literary Walk have been designed by THS Member, Sam Eedle. David is available for interview and would be happy to be contacted in the first instance via Literary.Tewkesbury@gmail.com.